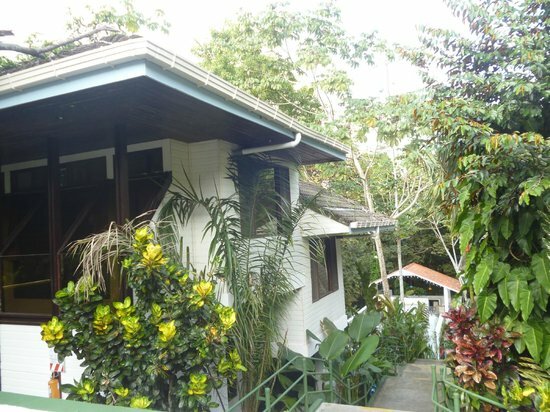 Hotel Mandarina is located at the highest elevation on the main road about halfway between the port town of Quepos and Manuel Antonio National Park. A mere 1.2 miles (2 Km) away are some of the most beautiful beaches in Costa Rica with the entrance to Manuel Antonio National Park at the end of the main road. A twenty minute walk down the secondary road from the hotel will bring you to a secluded beach. The local bus stops 50 yards from the hotel and brings you to the main beach or Manuel Antonio National Park in 5 minutes. If you choose to drive, you can park your rental car in the secure lot behind the reception building. Manuel Antonio is only 3 1/2 hours by car or bus from San Jose, so long as you take the shortest route. Faster yet, is a 20 minute plane ride from San Jose on Nature Air or Sansa Airlines. The Quepos and Manuel Antonio areas are fairly easy to navigate since there are only a few main roads. 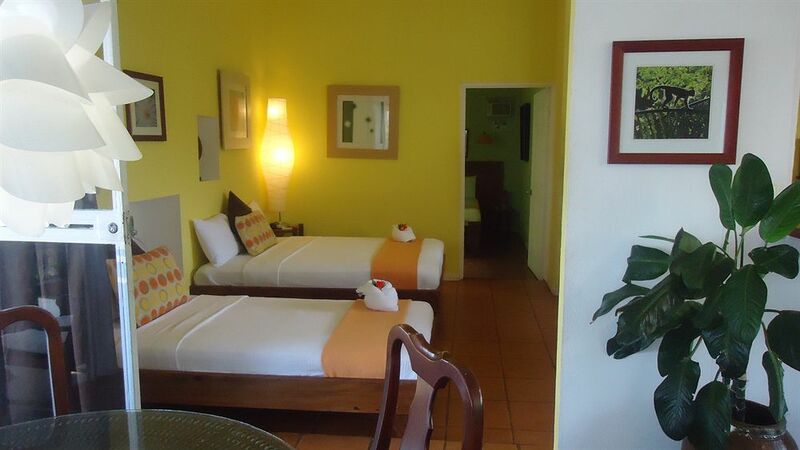 Although, the hotel rooms do not have ocean views, they are set back from the road, away from the traffic noise. 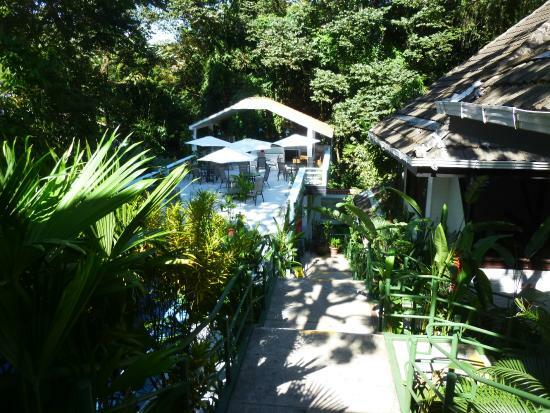 Nestled against the lush jungle backdrop, the rooms surround a blue-tiled pool that has a small decorative waterfall. It is a very private place to relax and watch the small monkeys swinging through the overhead canopy. 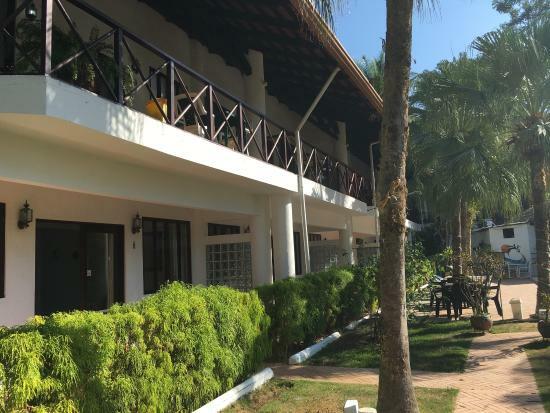 Each room has recently been fitted with new, comfortable mattresses (3 units have KING size beds) and new air conditioning units. Hair dryers are available upon request. 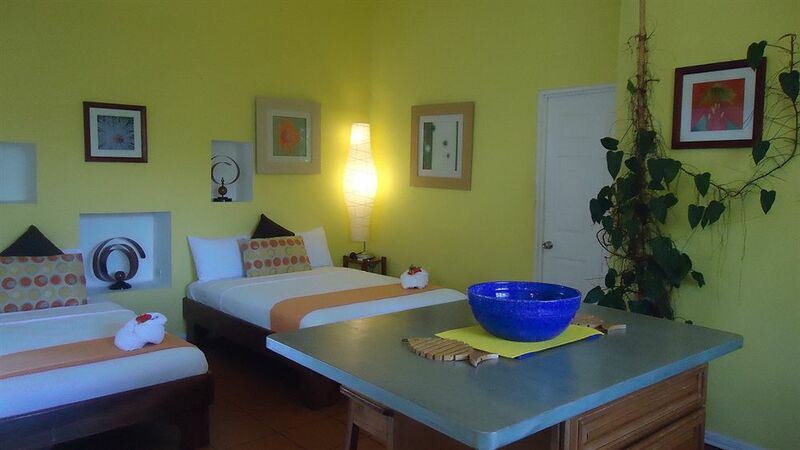 Cable TV, coffee makers and small refrigerators are in each room. LCD TV’s with DVD players are available in select units. Some rooms have OPEN AIR SHOWERS!